Apple unveiled its latest models of the iPhone on the 12th of September, and as expected, there has been much buzz about the much anticipated iPhone X. Phone X according to apple, will redefine how we use a smartphone. I personally found this statement to be not true. 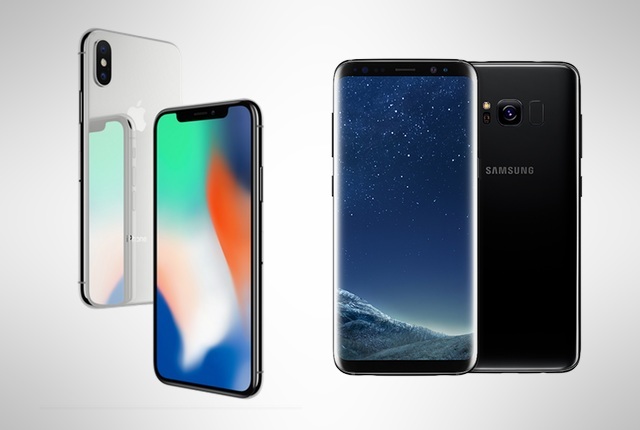 This is because, while the iPhone X represents a first in many features for Apple phones, most of the features built into the device have been in existence on flagship devices from Samsung, Motorola, and even Xiaomi. In this article, I pitch the iPhone X against the Samsung Galaxy S8 to show reasons why I will choose the Galaxy S8 over the iPhone X.
iPhone X comes with an all-glass front, save for the little bezel at the top that houses the front camera, the facial recognition sensor, and, according to Apple, other sensors. The display is made of 5.8-inc OLED, non-AMOLED super retina display at a resolution of 2436 x 1125 pixel (~458ppi pixel density), marking a shift from Apple’s conventional LCD screen. It’s the first iPhone to sport an OLED display. The Samsung S8 on the other hand sports a 5.8 OLED super AMOLED display at a resolution of 2960 x 1440 pixels (~570 ppi pixel density), giving you a better color display than the iPhone X. Both phones have tiny bezels at the top of the screen with only Samsung having at the bottom. Samsung advantage over Apple on this one is that the Galaxy S8 screen can be set to always on, giving you the ability to quickly take a look at your screen without pressing any button while Apple’s advantage here is that the screen has 3D touch. 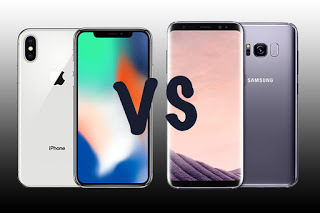 Overall, I give it to the Samsung Galaxy S8 on this one because the screen is super AMOLED with higher screen resolution than the iPhone X, and Samsung may just be the manufacturers of the OLED screen used on the iPhone X since it’s presently the only company with the capacity to manufacture OLED screens in large quantities. The Galaxy S8 has a metal frame with curved glass panels in front and back. It is IP68 water and dust resistant, while iPhone X also has a metal frame and glass panels front and back with IP67 water and dust resistant capability. While the Galaxy S8 touchscreen can work under water, the same cannot be said of the iPhone X. The S8 is a little taller with a dimension of 148.9 x 68.1 x 80.0mm and a weight of about 155g while iPhone X has a dimension of 143.6 x 70.7 x 7.7mm and weighs about 174g. This makes the S8 a little lighter than the iPhone X. The Galaxy S8 comes in six different colors- Midnight Black, Orchid Gray, Coral Blue, Arctic Silver, Maple Gold, and Rose Pink, while the iPhone X comes in only two colors- Silver and Space Gray. As the saying goes, “ veriaty is the spice of life” I give it, again, to the S8 on this one. The iPhone X comes with internal storage of 64/256GB with no option for microSD card while the S8 come with 64GB internal storage and it is microSD expandable. The S8 has a RAM of 2GB and is powered by Apple A11 Bionic Chipset while the S8 is powered by a 1.9GHz-octa-core processor with a RAM of 4GB. 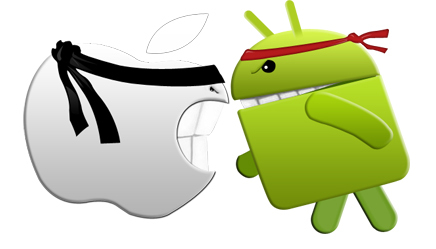 The fastest of these two devices will depend on a lot of factors among which is the OS. Until the iOS11 is released, I would like to think that the S8 has this one too. The S8 sports a single 12MP rear camera with dual pixel AF at f/1.7wide angle while the iPhone X has dual 12MP rear cameras with dual OIS at f/1.8 wide angle and f/2.4 telephoto. Both phone cameras have optical image stabilization (OIS) and can produce great images with the iPhone X having an edge here because of its ability to produce portrait images by blurring image backgrounds. This feature is only possible with a dual camera setup and Apple is not the first with it as it can be found on the MotoX4, and other flasgship devices. For the secondary camera, the S8 has an 8MP front camera while the iPhone X has a 7MP front camera. The iPhone X will be powered by Apple’s iOS11 while the S8 runs on Andoid 7.0 Nougat. Now, one of the advantages of the Android OS is the number of applications at your disposal when you have an Android powered device. There is hardly any application out there that is not available on the Playstore and lots of them are available for free download. There are fewer Apps on the App store compared to the Playstore, with most of them available only on paid downloads. However, running an iOS powered device means you get timely updates for many years to come as Apple is known to make its updates available to many of its devices. On this one, it is going to be a draw. The iPhone X is no doubt an advance miniaturized communication tool embedded in a masterclass of an art work, but redefining how we see and use a smartphone, NO! Save for the Face ID, the iPhone X is a first for Apple devices but not for a brand like Samsung. While the Galaxy S8 retails for about $650, the 64GB version of iPhone X will go for $999 and the 256GB version will go for $1149! This is my personal opinion, the choice on which one to buy lies entirely with you but let it be guided by what you want to use the phone for. Thanks for reading and remain safe.